Karl Kittredge's sentence was one of several in separate cases in Kennebec County Superior Court. AUGUSTA — A city man pleaded guilty Tuesday to unlawful possession of heroin in an incident where Maine State Trooper Lee Vanadestine found him asleep in his vehicle along the Maine Turnpike in West Gardiner — with the engine running and headlights on — and surrounded by drug paraphernalia, including packets of heroin, and loose currency. Karl K. Kittredge, 30, was sentenced in Kennebec County Superior Court to three years in jail, with all but 120 days suspended and two years probation. Assistant District Attorney Joelle Pratt told the judge the trooper watched the vehicle for a while on April 4, waiting to see whether anyone stopped to buy drugs, and only approached after he saw the driver wake up and appear to flail around. Kittredge also forfeited the $461 in cash found in the vehicle and was fined $400. A number of other people were sentenced Monday and Tuesday in separate hearings in Kennebec County Superior Court. • Dalton D. Albert, 20, of Eastbrook, operating under the influence and operating without a license (conditional/restricted) May 21 in Sidney; 24-hour jail sentence, $500 fine, 150 day license suspension. • Thomas L. Bolster, 53, of Gardiner, operating under the influence March 17 in Augusta; four day jail sentence, to be served in the alternative sentencing program, $500 fine, 150 day license suspension. • Sean D. Brooks, 54, of Augusta, domestic violence assault April 2 in Augusta; 364 day jail sentence, all but seven days suspended, two years probation. • Randi J. Burns, 33, of Waterville, operating under the influence, two counts each of operating a vehicle without a license and violating conditions of release March 6-May 6 in Waterville; 180 day jail sentence, all but eight days suspended, one year probation, $700 fine. • Christopher A Donnarumma, 35, of Augusta, operating after habitual offender revocation Sept. 21, 2013, in Augusta; 18 month jail sentence, all but six months suspended, 18 months probation, $1,000 fine. • Thorr Dennis Ellis, 20, of Gardiner, theft by receiving stolen property Jan. 3 in Gardiner; 364-day jail sentence, all but 10 days suspended (to be served in the alternative sentencing program), one year administrative release, $350 restitution. 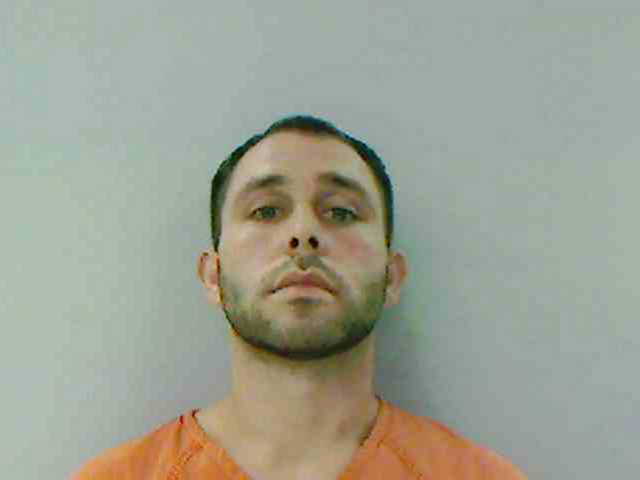 • Zachary K. Emery, 26, of Augusta, theft by unauthorized taking or transfer April 24 in Augusta; $250 fine. • Peter R. Fitts, 57, of Augusta, driving to endanger March 22 in Mount Vernon; $575 fine, 30 day license suspension. • Daniel A. Hermann, 39, of Oakland, violating conditions of release Feb. 18 in Oakland; $250 fine. • Christopher M. Hentschel, 58, of Manchester, operating under the influence March 23 in Augusta; $500 fine, 150 day license suspension. • Philip E. Howard Jr., 27, of Fairfield, theft by unauthorized taking or transfer Feb. 26 in Waterville; $200 fine. • Robert E. Lewis, 40, of Chelsea, operating under the influence March 20 in Chelsea; seven-day jail sentence, to be served in the alternative sentencing program, $700 fine, three year license and registration suspension. • Thurlow Warner Mason, 30, of Gardiner, domestic violence assault May 6 in Gardiner; 364 day jail sentence, all but four days suspended (credit for time served), two years’ probation. • Daniel T. Nichols, 29, of Manchester, operating under the influence May 30 in Manchester; 364-day jail sentence, all but 10 days suspended to be served in the alternative sentencing program, one year probation, $700 fine, three year license and registration suspension. • Adam R. Plaisted, 30, of Belgrade, operating under the influence May 11 in Augusta; 48 hour jail sentence, credit for time served, $500 fine, 150 day license suspension. • Jordan Michael Savage, 19, of Winslow, operating ATV under the influence while under 21 Jan. 19 in Winslow; $500 fine. • Stephen R. Singleton, 30, of Augusta, operating under the influence Oct. 19, 2013, in Augusta; $500 fine, 90 day license suspension. • Tyler Tatakis, 23, of Skowhegan, criminal trespass and refusing to submit to arrest or detention May 15 in Waterville; 48 hour jail sentence. • Clint D. Willoughby, 26, of Winslow, domestic violence assault March 28 in Waterville; three-year jail sentence, all but six months suspended, two years’ probation.